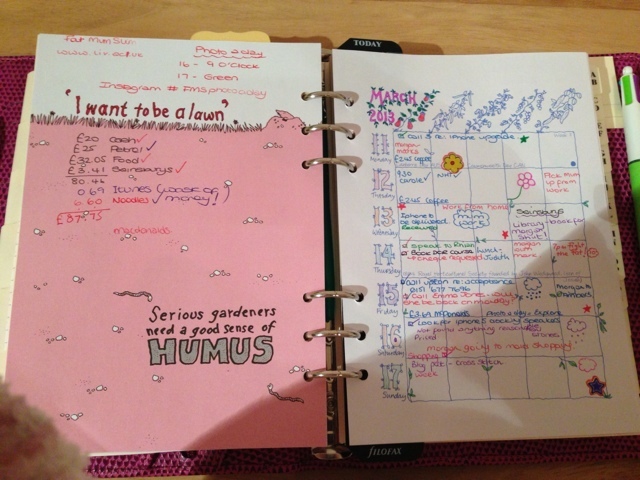 I really liked the planner that she has with the cute drawings and thought I would try something similar. I've never been someone who has kept a journal, the process of writing about my day or thoughts or feelings has just never clicked and I have tried! This approach seemed like it was worth a try - I am not good with drawing and mine is no where near as nice as Planet Millie's but I enjoyed doing it nevertheless. I also enjoy reading Paper Love Story blog http://www.paperlovestory.com/ and love the my week review and loads of people taking part. 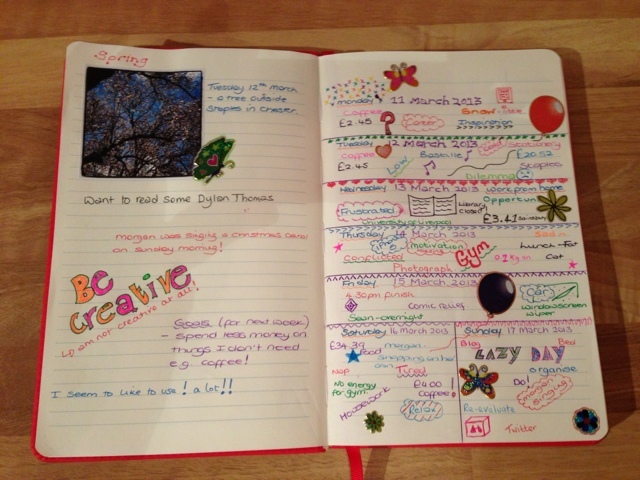 I've recently starting using a dodopad diary and am enjoying it at the moment. I like to doodle so this is great. There isn't as much space to write but I like that as I hate empty space on the page. I'm doing this update on my ipad and am having trouble with formatting but hopefully it looks ok! If the links haven't worked, I'll update them on my laptop later. Apologies for the awful pictures too - not the best with the shadows!